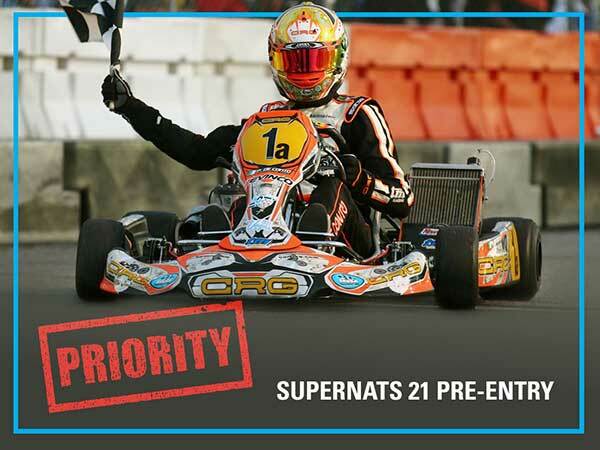 Australian karters are regular starters at the annual SKUSA SuperNationals in Las Vegas. SKUSA has now opened the ‘priority pre-entry’ program for this year’s event, a scheme that allows SKUSA’s regular racers to get in first. Online registration for everyone else will open on Sunday, August 27 for the remaining spots in each class. This will be on a first come, first serve basis until each class cap is reached. For the 21st time, Superkarts! USA has begun the registration process for the annual SKUSA SuperNationals. Set for November 15-19, competitors from all over the world will converge on the Las Vegas Convention Center and the Westgate Las Vegas Resort & Casino for a chance to etch their name in history. The daunting task of putting on the largest and one of the most prestigious karting events in the world is underway. In less than 120 days, karts will hit the new circuit looking out at the famous Las Vegas Boulevard. First, competitors must lock themselves into the fight by registering – and those who follow the SKUSA programs here in the United States will have their first opportunity to do so. 1) Racers who have competed in ALL of the first four of their 2017 regional SKUSA/ProKart Challenge events thru August 5 (California, Can-Am, or Texas) – OR – have competed in the 2017 SKUSA Pro Tour WinterNationals, SpringNationals and are pre-registered for the SummerNationals by August 5 – will qualify for the 2017 SuperNationals PPEP. 2) Complete the Qualification Form online between July 18 and August 7 (by 7pm PDT) to secure placement in the 2017 SuperNationals PPEP. 3) An automated confirmation email will follow your qualification form submittal. 4) Those drivers entered into – AND confirmed qualified for – the 2017 SuperNationals PPEP will receive a second email by Tuesday, August 15 at 8am PDT with a link to the SuperNationals registration form on MotorsportReg.com (MSR). Only the driver’s account on MSR, in the qualified class, will have access to submit a registration via this form. 5) Competitors have until Monday, August 21 at 7pm PDT to use that link and register before PPEP entry closes and their secured position is lost. 6) Online registration for SKUSA SuperNationals 21 will open to the public on Sunday, August 27 at 7pm PDT for the remaining spots in each class on a first come-first serve basis until the class cap is reached. Once each SuperNationals class sells out, a wait list will begin. Additional information for the Superkarts! USA SuperNationals 21 will be published to the SKUSA website as it becomes available – including tentative event schedule, pricing, and hotel room block information at the Westgate. For now, head to the SKUSA SuperNationals 21 PPEP page to get your registration process started.